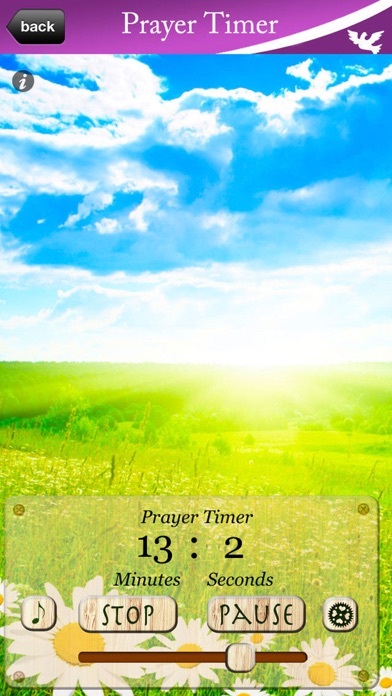 Praying is the best way to spend time with God, and this is a great tool for your daily contemplation. THE FEATURES ————————————————— FREE YOUR MIND FOR GOD'S GRACE ————————————————— Set the Prayer Timer, and you'll don't have to watch the clock. The best way to get to God and to find inner peace! Available settings are: 5, 10, 15, 20, 25, 30... 120 minutes! 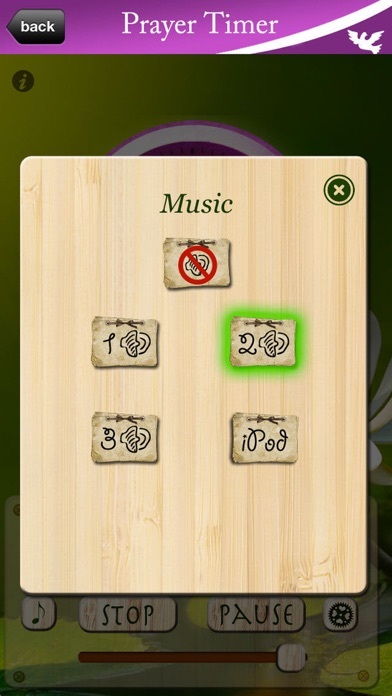 (5 minute steps) ————————————————— RELAXING MUSIC AND SOUNDS INCLUDED ————————————————— Choose between three different sounds. 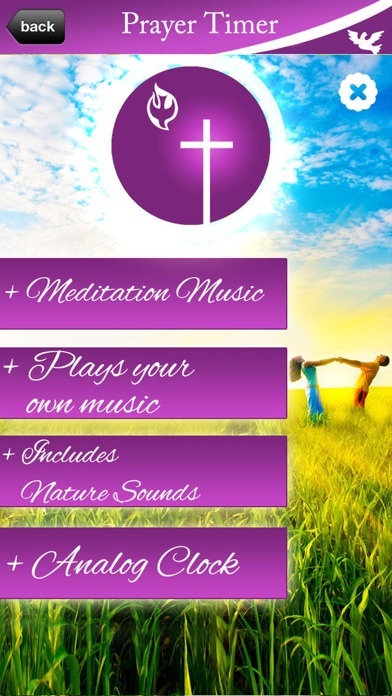 We promise: Music to find peace and calmness! 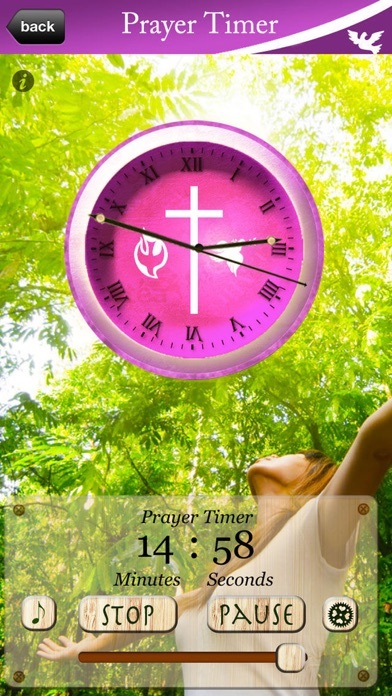 ————————————————— PLAYS YOUR OWN MUSIC, TOO ————————————————— The timer also allows you to pray with the music of your iPhone/iPod/iPad! ————————————————— SINGING BOWLS ————————————————— At the very end of your prayer, singing bowls are used. 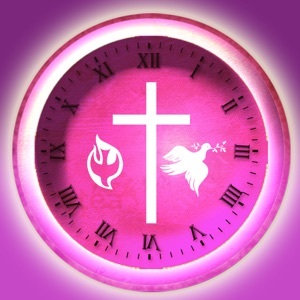 ————————————————— SPECIAL FEATURES ————————————————— * Analog clock * Easy to use * Great app design * Inspirational images GOD BLESS YOU!